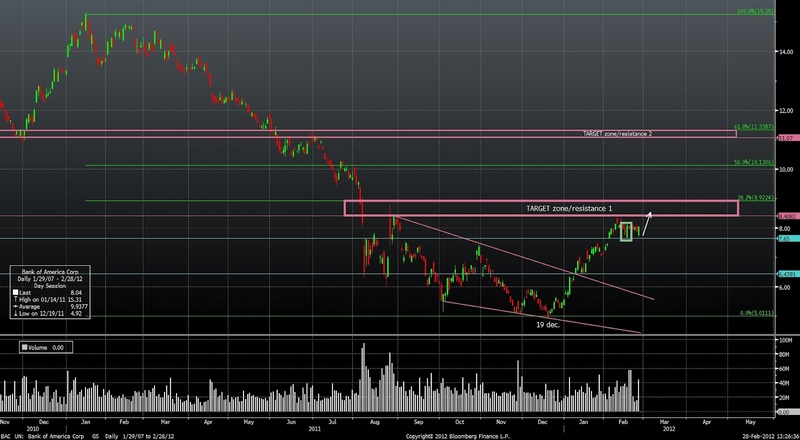 The previous analysis of Bank of America ( http://markettechnicalview.blogspot.com/2012/02/bank-of-america-bullish-engulfing.html ) pointed out a few arguments that can lead to achieving the $8.40 target in the next period. 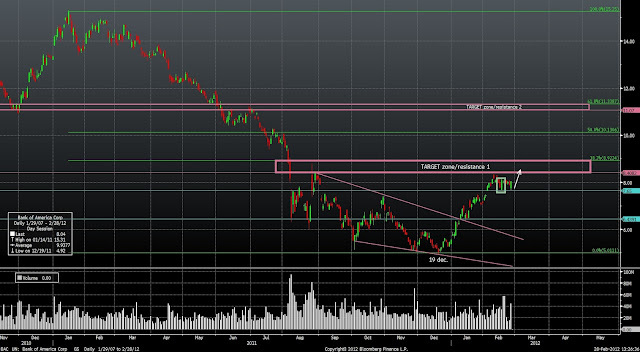 Today, the $7.65 support proves stronger and the volumes show the interest in this stock at the support level. If nothing major will appear that could lead to a sell-off, the price can get rather quickly above $8.40 target.